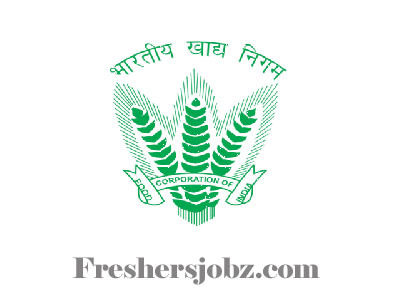 FCI Notification 2018.Food Corporation of India - FCI has released a notification for the recruitment of Assistant Grade III vacancies.Check the eligiblity and notification prior to apply for the positions. Food Corporation of India (hereinafter termed Corporation), one of the largest Central Public Sector Undertakings, dealing with Food grain supply chain Management, intends to recruit 3 (Three) meritorious sports persons as Assistant Grade III (General) in IDA pay scale of Rs.9300-22940/- (pre-revised). Age: Age Limit: Between 18-27 years as on 01.01 2018. (The maximum age limit can be relaxed by 5 years in case of SC/ST candidates and 3 years in case of OBC candidates). 1 .Employees of the Central/State Govt./ Public Enterprises should forward their applications through proper channel to reach the Corporation before the last date notified below. Direct applications in such cases will not be entertained. The Corporation may, at its discretion, relax qualification and age in appropriate cases in accordance with the rules. Mere submission of an application and fulfilling the eligibility criteria would give no right to any person for interview/selection trial. All appointments will be subject to the Rules and Regulations of the Corporation and/or directives of Govt.of India, enforce from time to time. Applications received up to the prescribed date will be scrutinized by Food Corporation of India. Shortlisted candidates will be called for interview /selection trials and verification of original documents. No. TA/DA will be provided for interview / selection trials and verification of originals documents. 1 .Candidates should satisfy themselves that they fulfil the required eligibility, education qualification, age, etc. before applying for the same. (ii) Application shall be neatly typed/filled in the prescribed format in A-4 Size paper. (CP-218-224) Self attested photocopies of all the required documents in support of age, qualification, sports achievement, caste, etc. are to be attached with application form. Original certificates would be scrutinized at the time of interview/selection trial. Applications complete in all respect and duly signed by the applicant be placed in a sealed envelope.